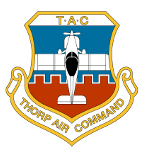 Thorp Air Command - T18.net • View topic - Plane faster when flying on the Bottom Half of the tank? Plane faster when flying on the Bottom Half of the tank? Post subject: Re: Plane faster when flying on the Bottom Half of the tank? That's still the best I can come up with, but it just doesn't seem it could produce the effect observed. Has any one come up with an explanation?